The main premise of Laughter Yoga is to laugh for no reason, with each other...never AT each other. While laughter that is directed AT someone can be considered "horizontal" laughter, Laughter Yoga is not aimed at anyone or anything and can be considered "vertical" laughter. It's healthy, healing and fun! 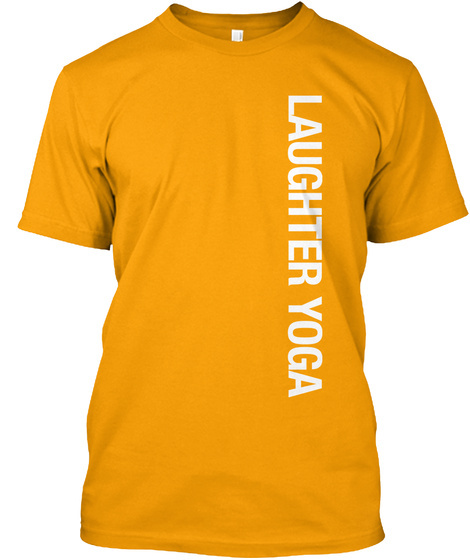 Wear this shirt in support of "vertical" laughter! Let's build each other up, not tear each other down! 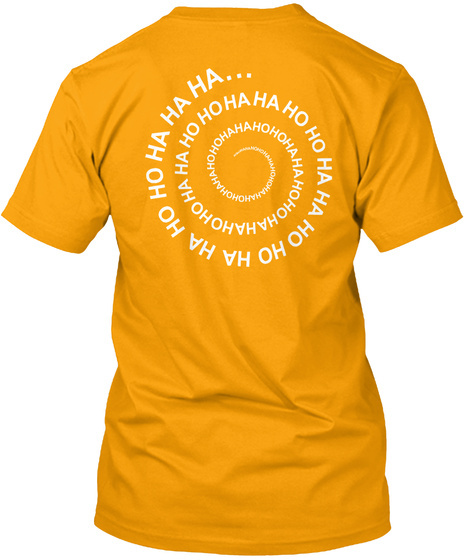 This shirt is double sided, featuring the ho ho ha ha ha spiral on the back. Women's shirt styles also available. Check 'em out!